This work by Rossini is a wonderful theatrical celebration, created for the coronation of King Charles X and then considered lost. It is only in the last few years that it has been performed once again, always to great acclaim. With The Journey to Rheims, Rossini created an original jewel: almost 20 acclaimed soloists came together to honour the king, but above all, to announce in the grandest possible style the arrival of Rossini, the most popular composer of his time, in the cultural capital of the day. 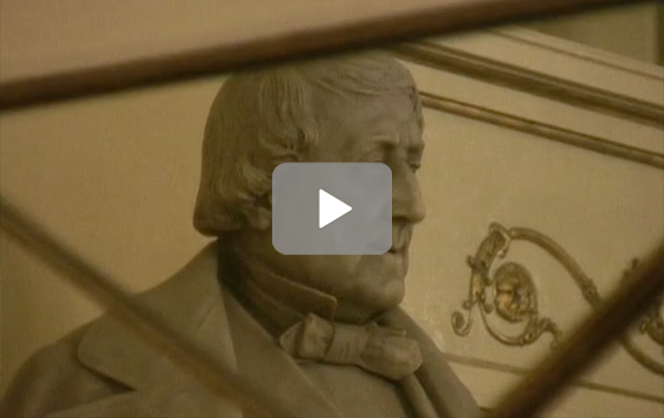 Rossini presented his new public with an opera that not only represented the epitome of his style, but also demonstrated how brilliantly he was able to play with conventions, styles and fashions. Left image taken from Galliae Nova Tabula, hand-colored engraving, Amsterdam, the early decades of the seventeenth century, at Jodocum Hondius, courtesy of Civica Raccolta delle Stampe “Achille Bertarelli”, Milan.